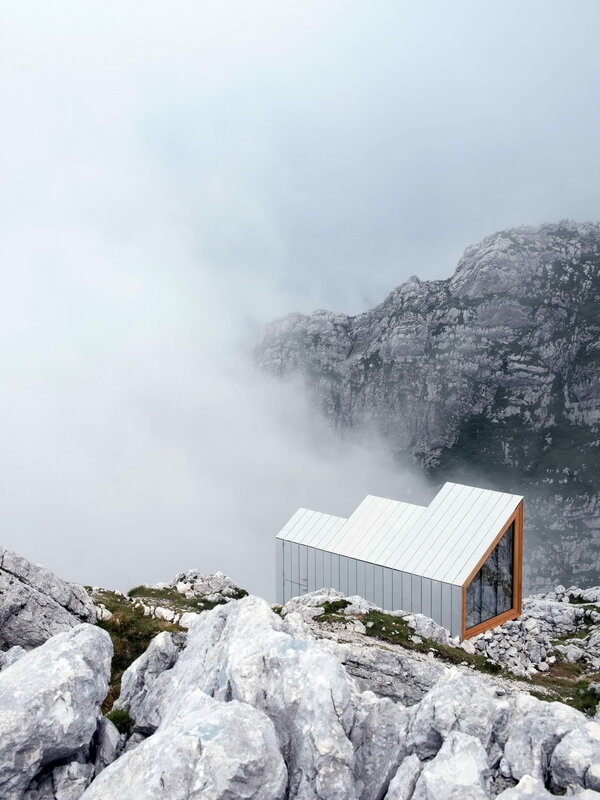 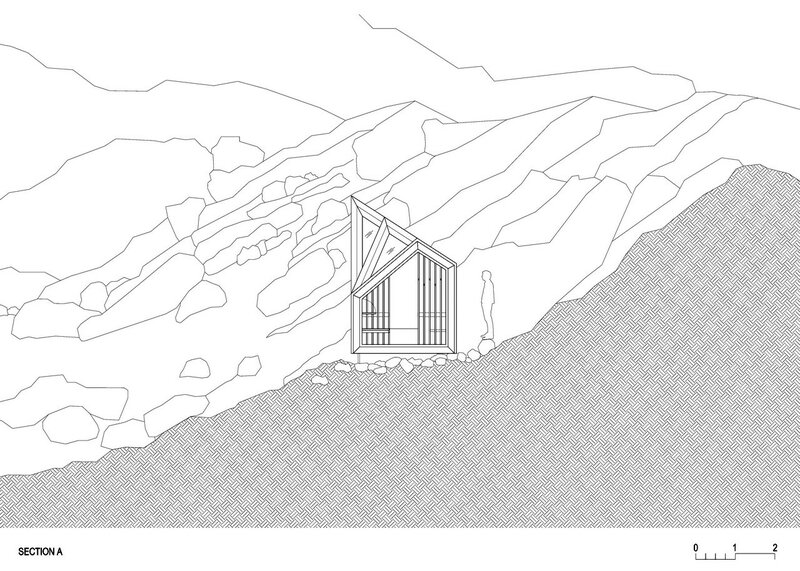 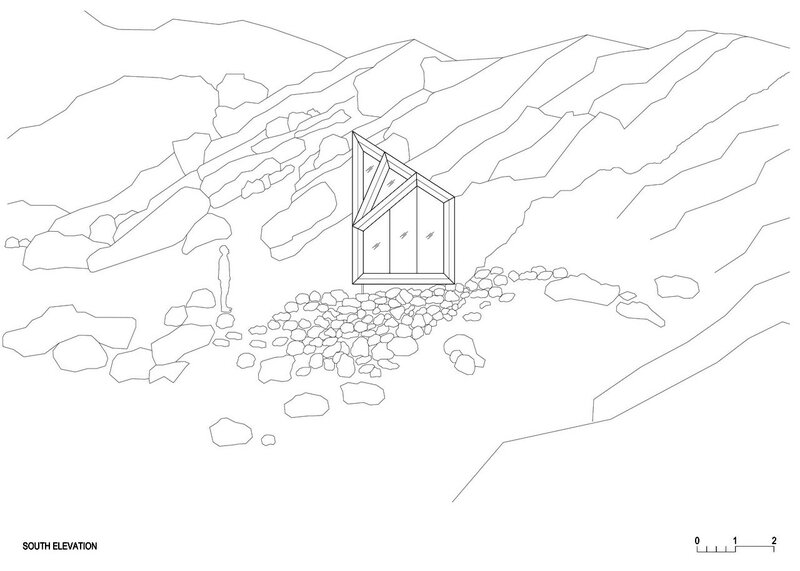 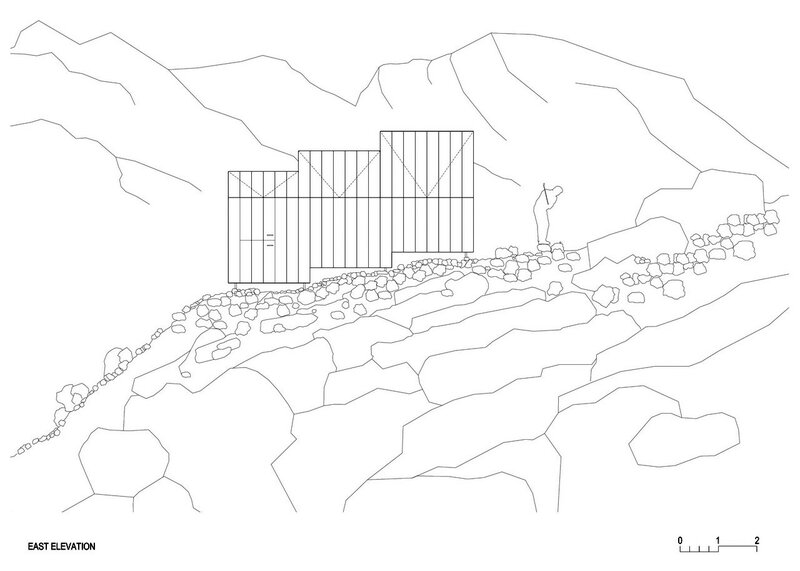 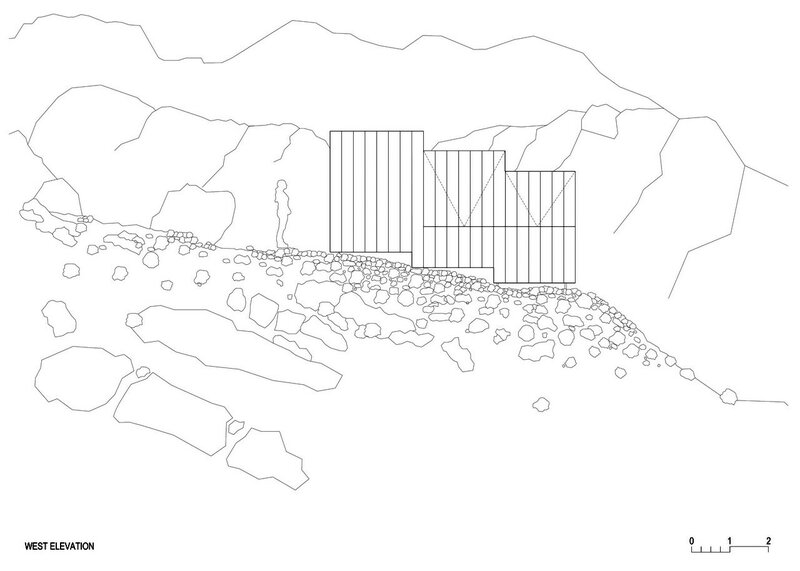 The extreme climatic conditions in the mountains introduce a design challenge for architects, engineers and designers. 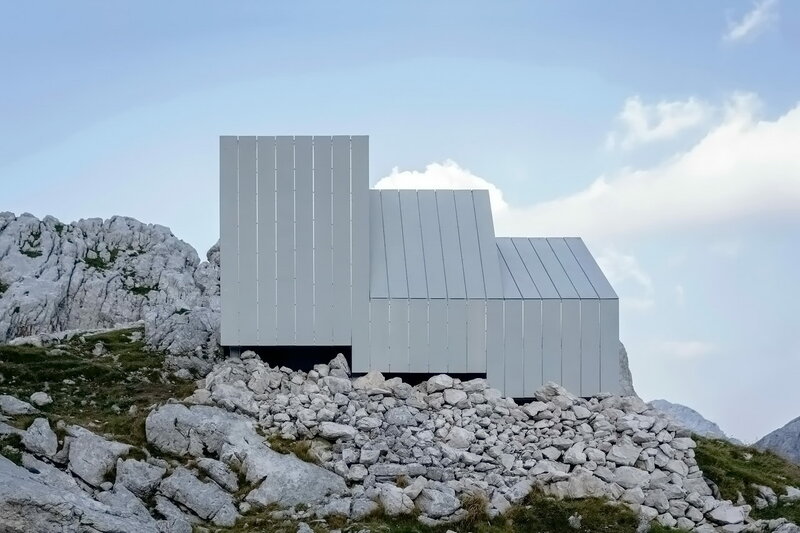 Within a context of extreme risk to environ­mental forces, it is important to design buildings that can withstand extreme weather, radical temperature shifts, and rugged terrain. 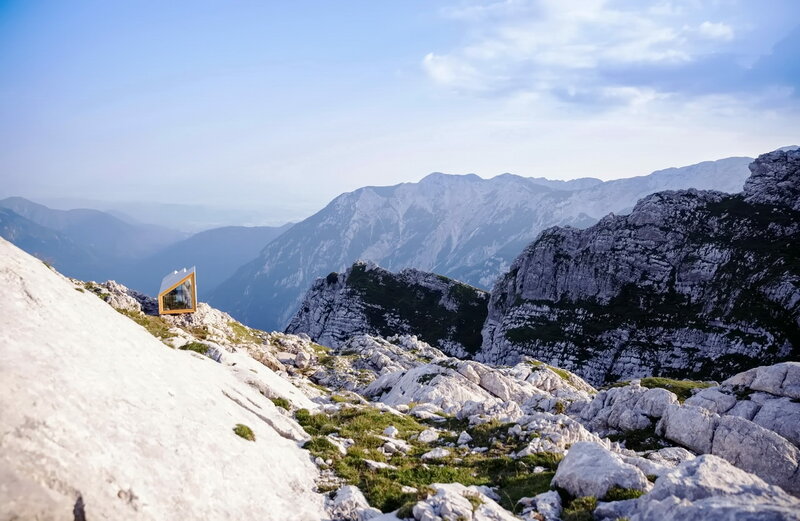 Responding to envi­ronmental conditions is not only a protective measure, but also translates into a matter of immediate life safety. 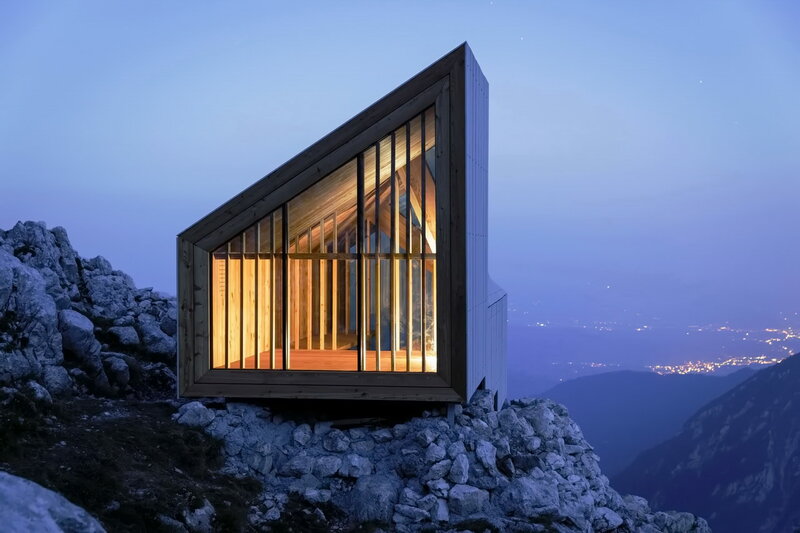 The harsh conditions of wind, snow, landslides, terrain, and weather require a response of specific architectural forms and conceptual designs. 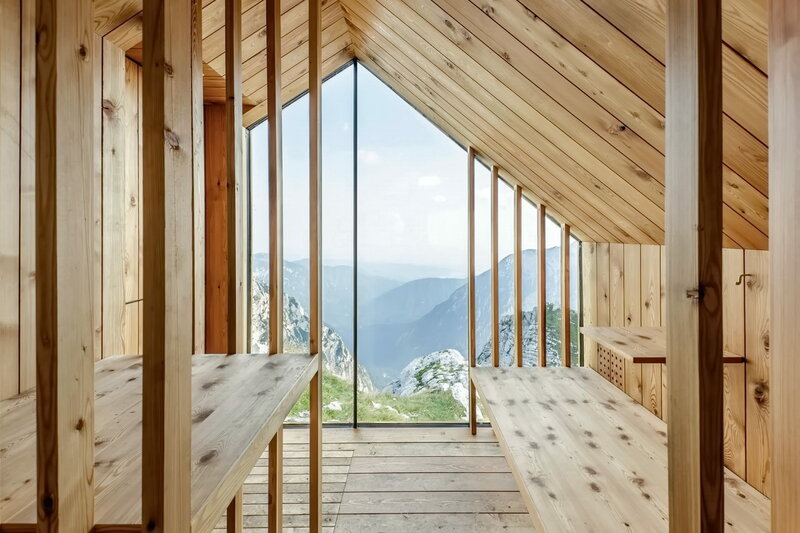 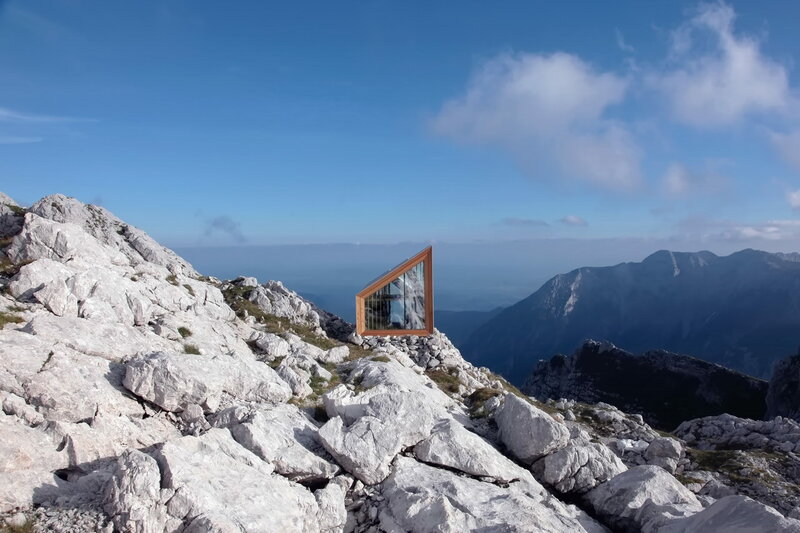 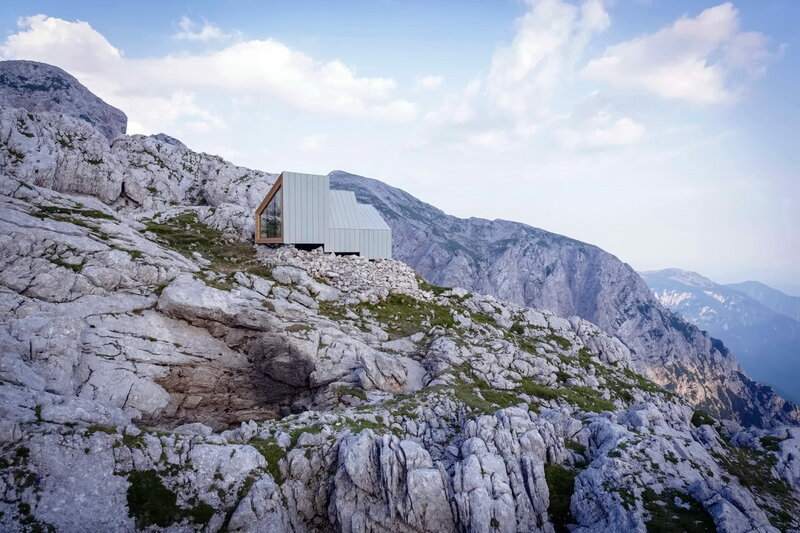 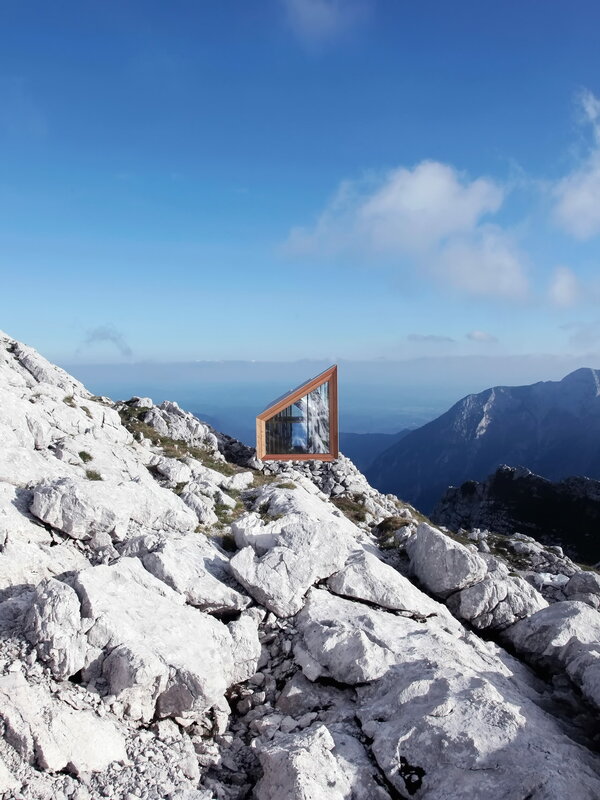 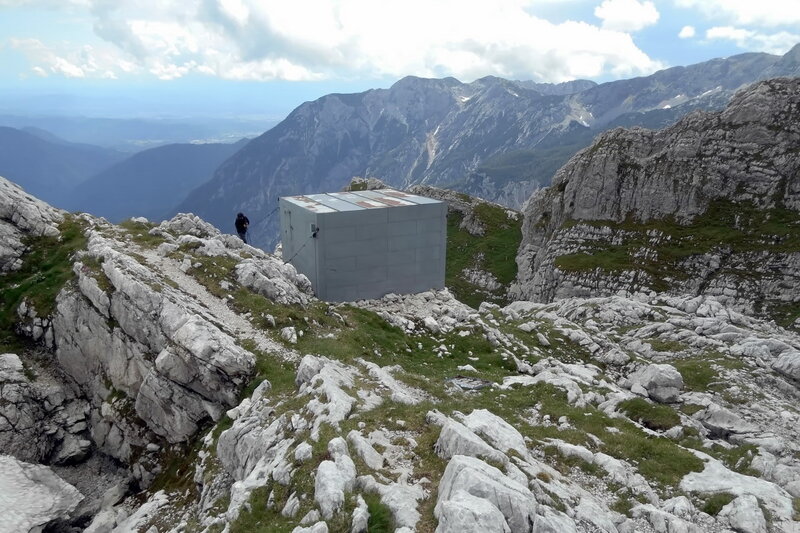 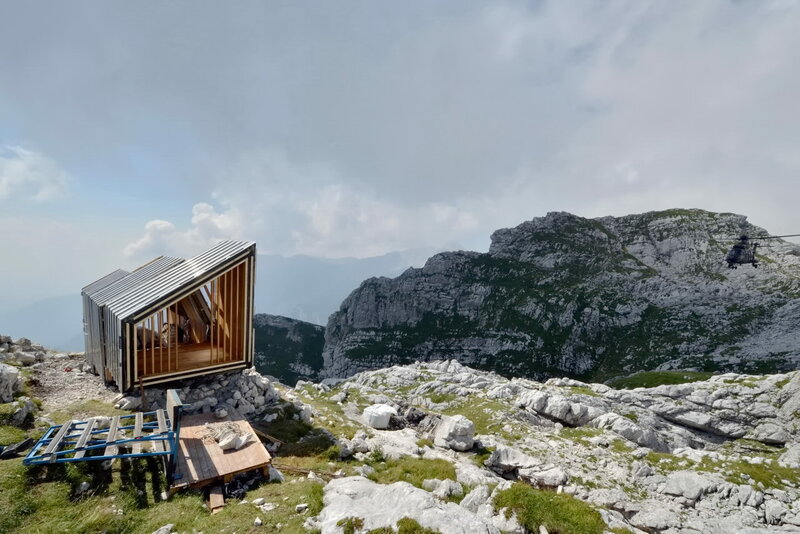 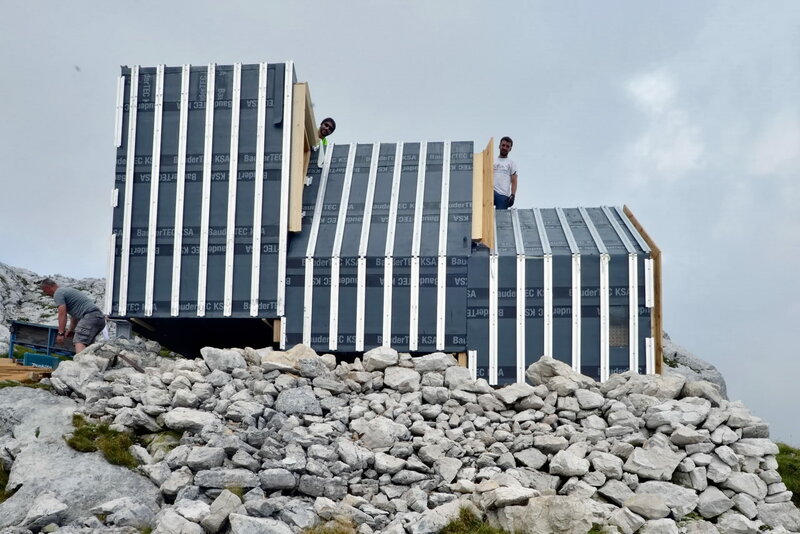 120 years after the installation of Aljaz Tower in August of 1985 on Triglav*, this new shelter was placed below Mountain Skuta in Kamnik Alps. 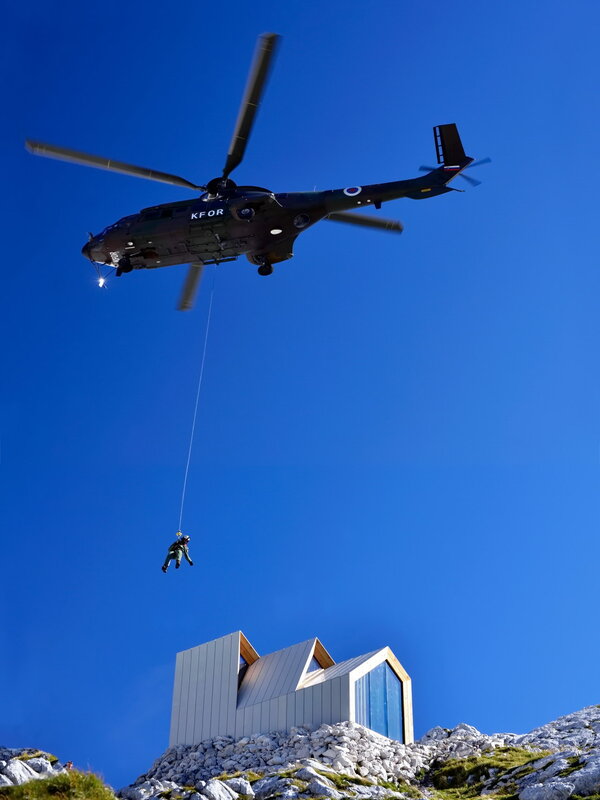 It is replacing a 50 year old bivouac that had previously been on the site. 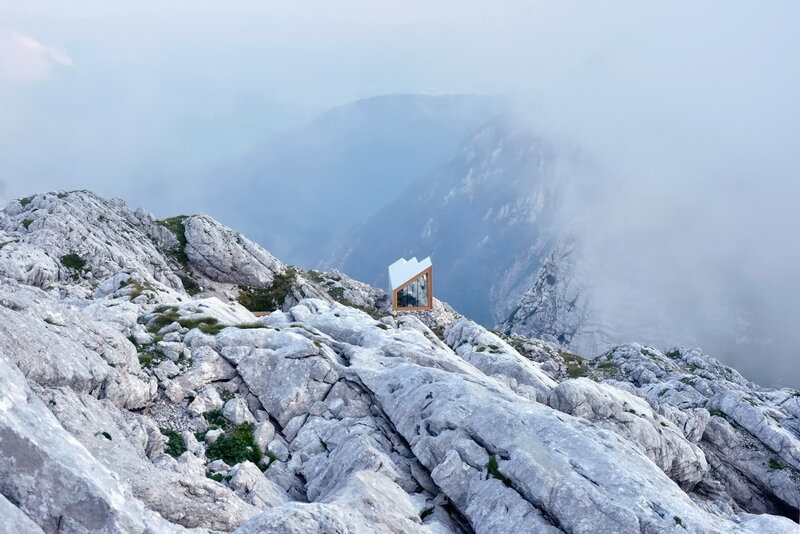 The bivouac is an object that represents a basic human necessity, a shelter. 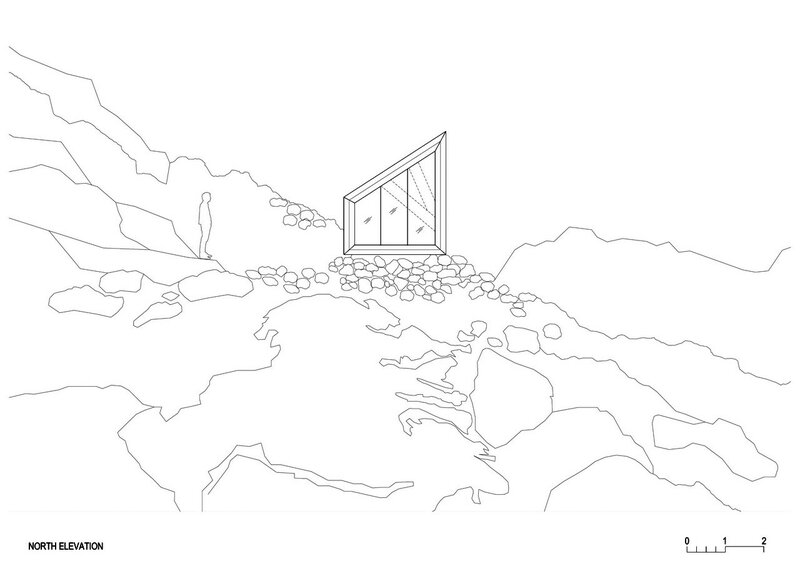 It is a symbol of refuge. 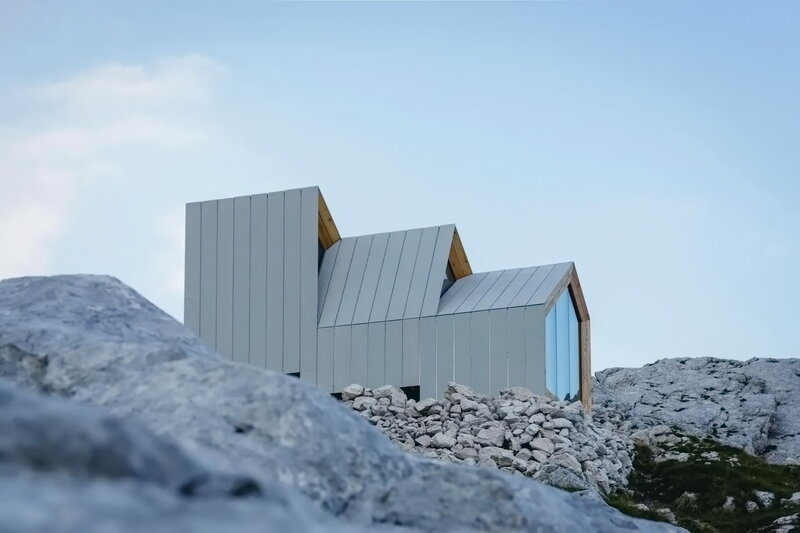 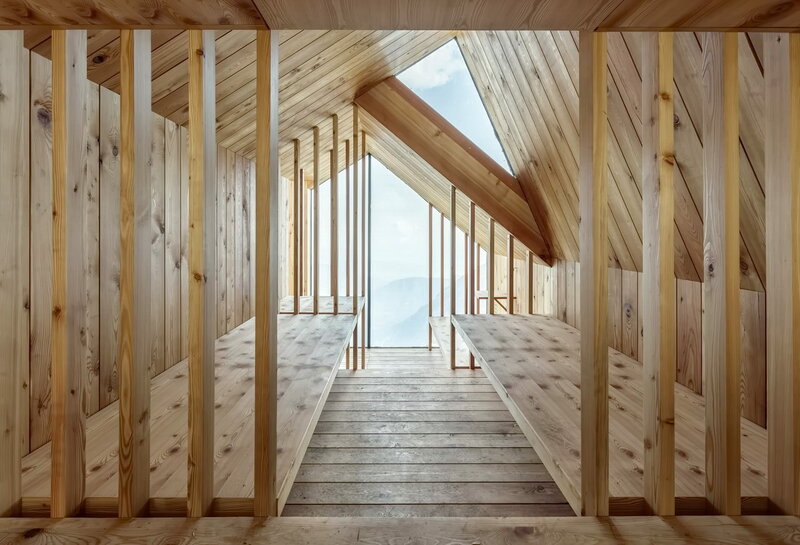 The outer form and choice of materials were chosen to respond the extreme mountain conditions, and also provide views to the greater landscape. 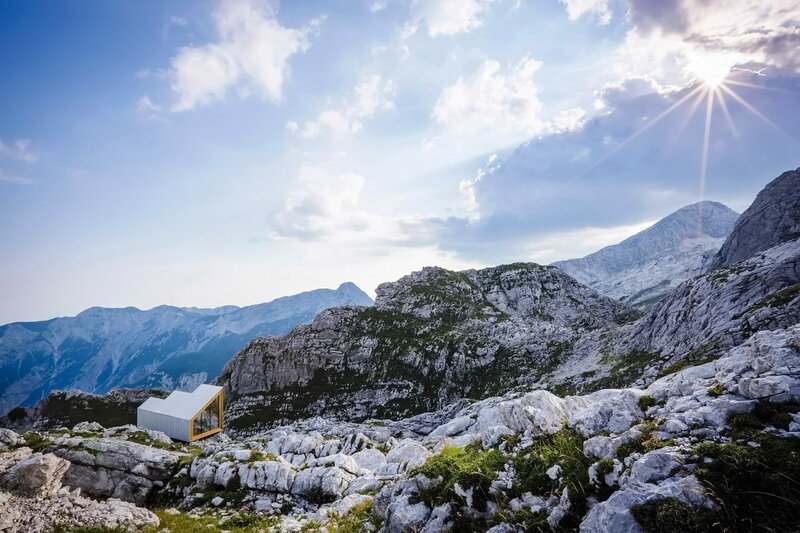 Its position within the wilderness requires respect for natural resources, therefore must meet the ground in a light and firm manner to ensure the shelter is strongly anchored while having a minimal impact on the ground. 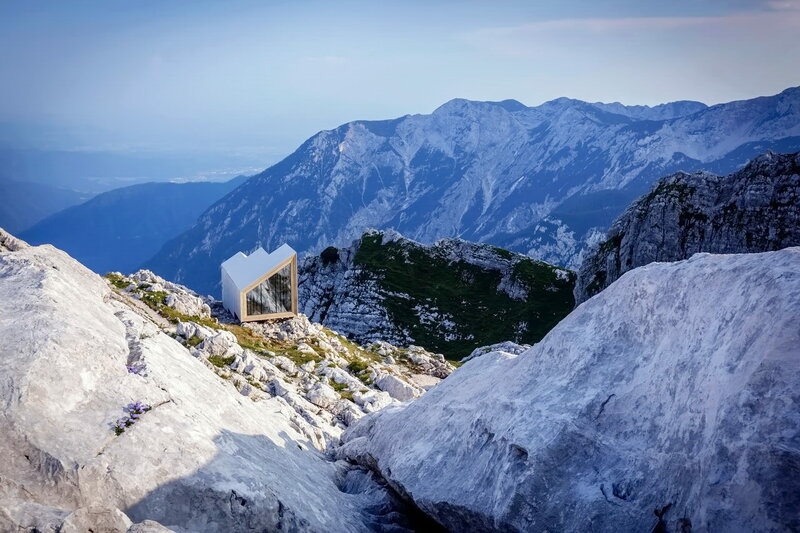 In addition, the outer shell needed to be realised with a highly resistant material and in collaboration with Rieder thin glass fibre öko skin concrete elements were able to meet all the requirements of aesthetics, material quality and the challenge of being able to withstand especially rigorous weather conditions. 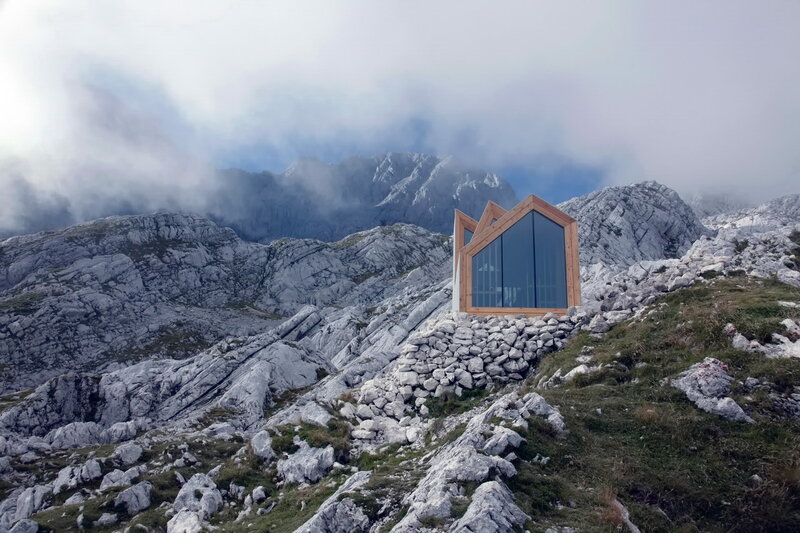 The design of the interior dictates modesty, totally subordinate to the function of the shelter providing accommodation for up to eight mountaineers. 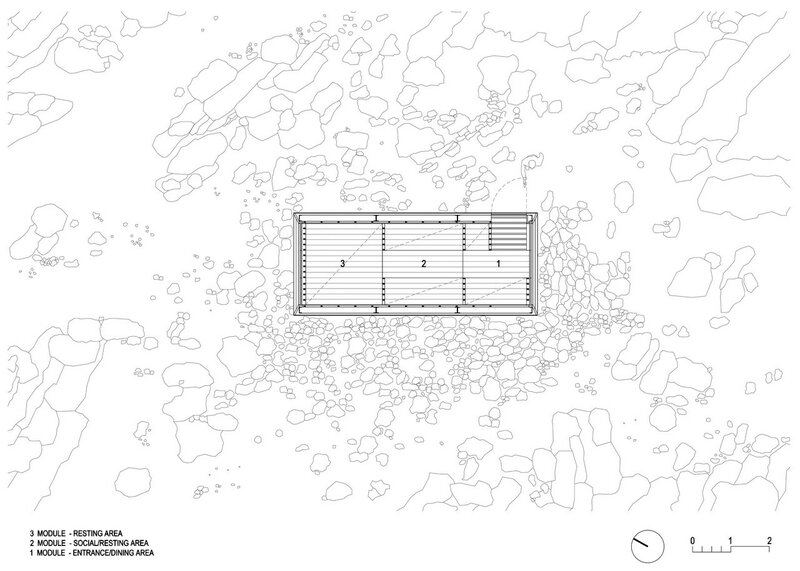 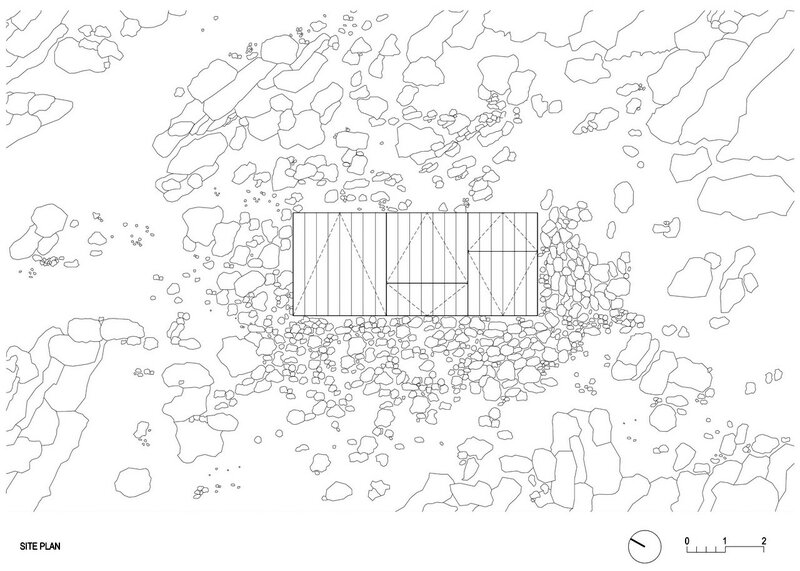 Informed by traditional alpine architecture, building elements, materials, structure and form, the design scheme by students Frederick Kim, Katie MacDonald and Erin Pellegrino was selected. 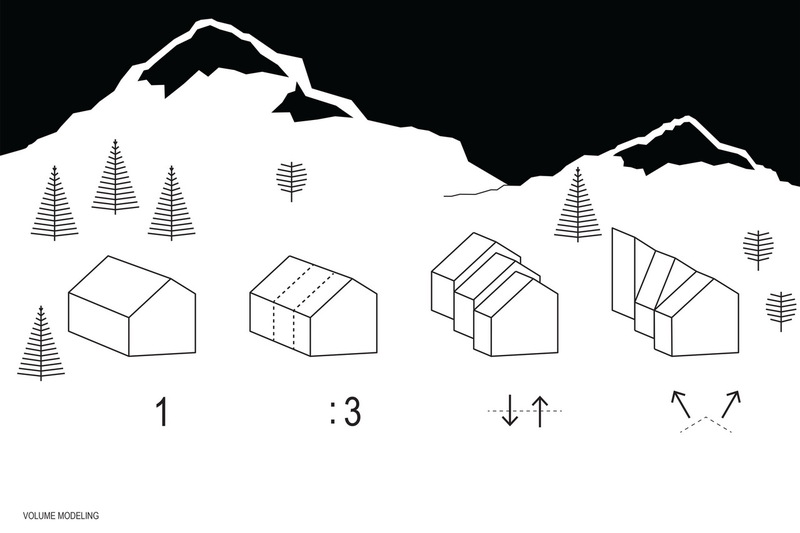 After conclusion of the academic semester, OFIS architects and structural engineers AKT ll continued to and develop and adapt the form to the given site, responding to further input from the mountaineers, Anze Cokl, Milan Sorc and other engineers and lead the project throughout the realization planning phase. 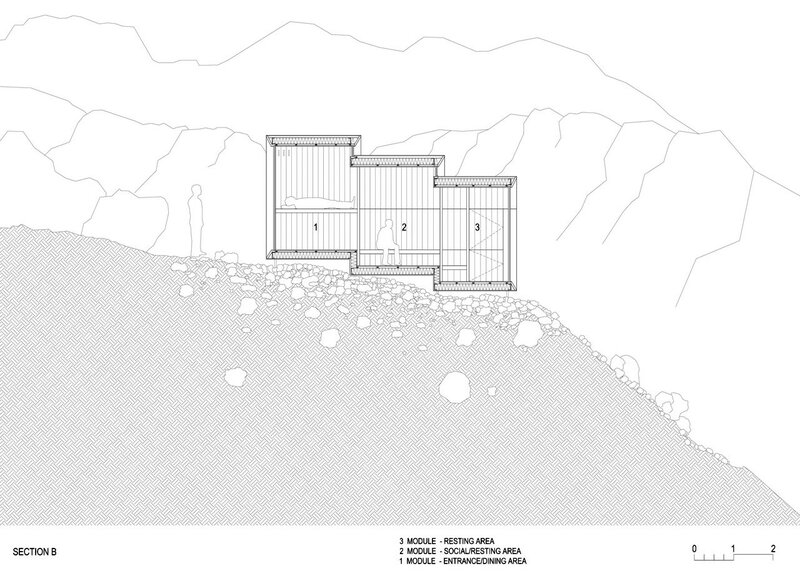 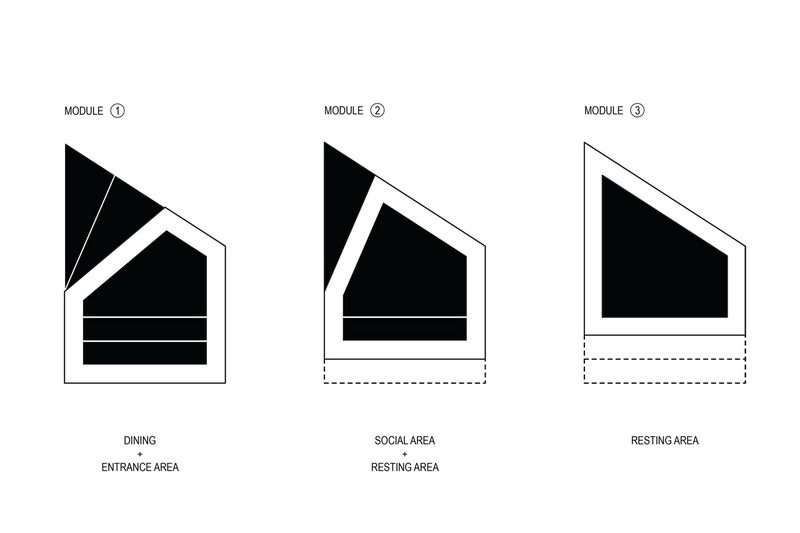 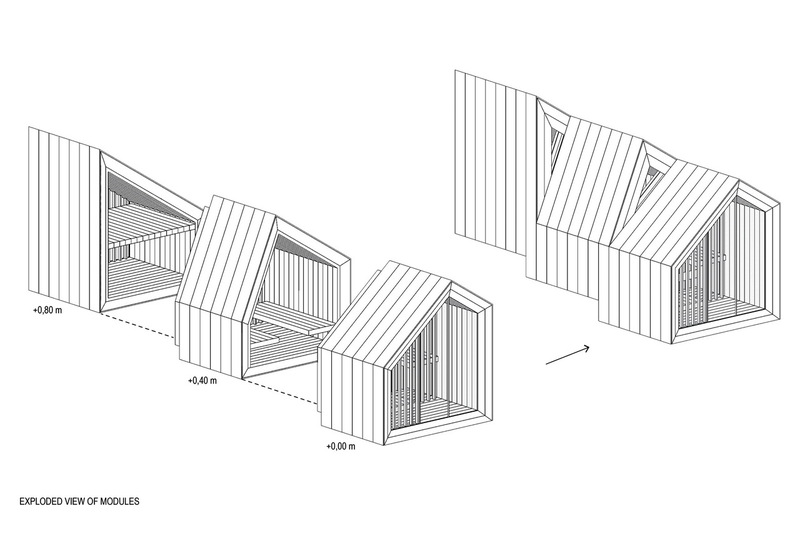 The design consists of three modules, in part to allow for transport and also to programmatically divide the space. 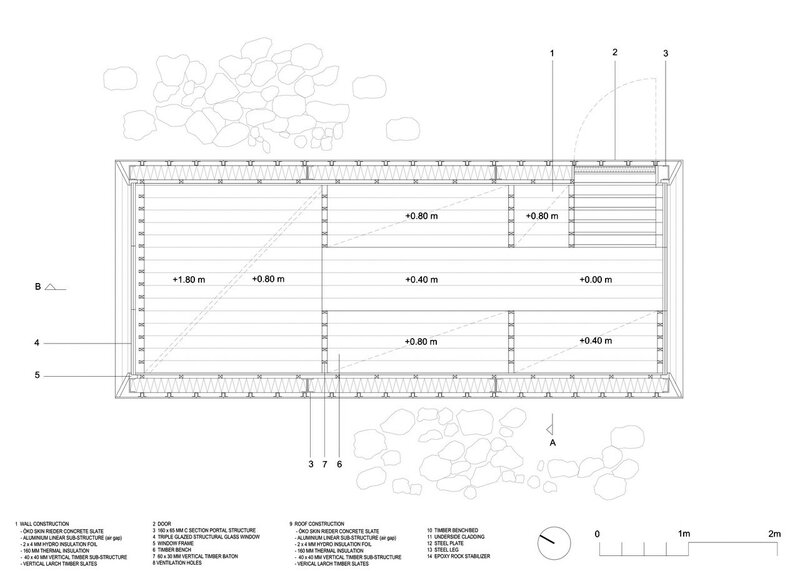 The first is dedicated to the entrance, storage and a small space for the preparation of food. 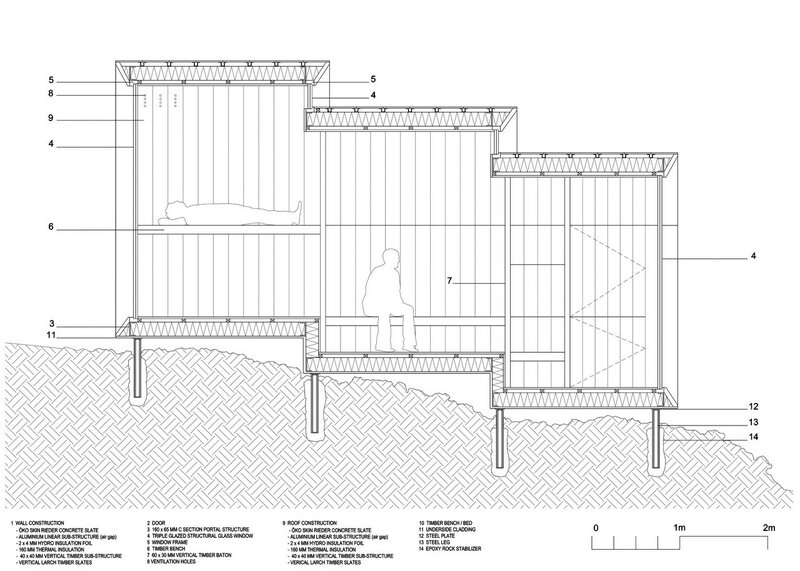 The second one provides space for both, sleeping and socializing while the third features a bunk sleeping area. 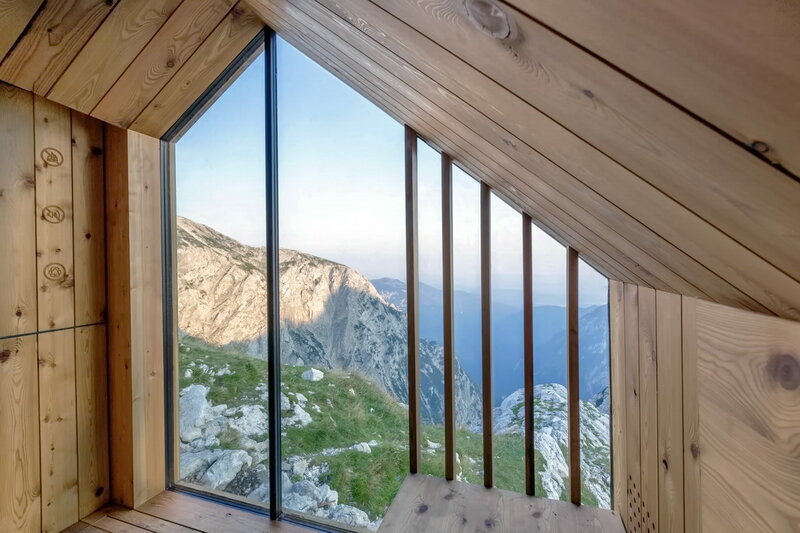 Windows at both ends offer beautiful panoramic views of the valley and Skuta Mountain. 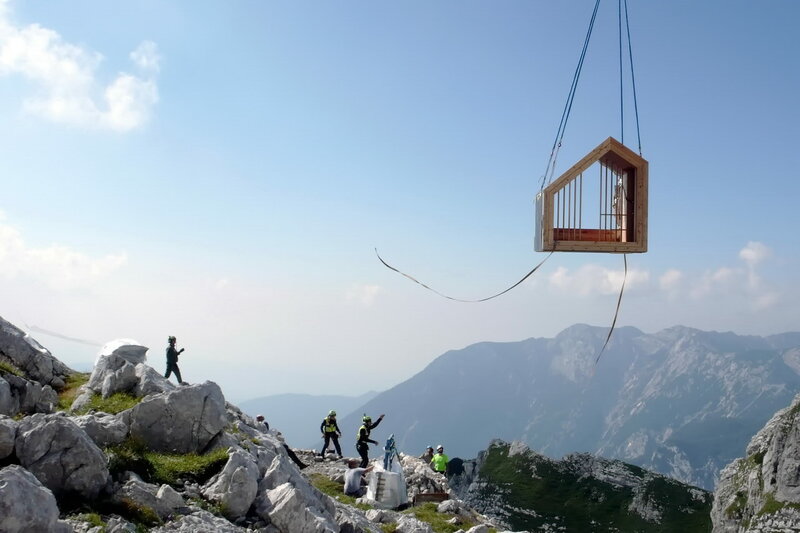 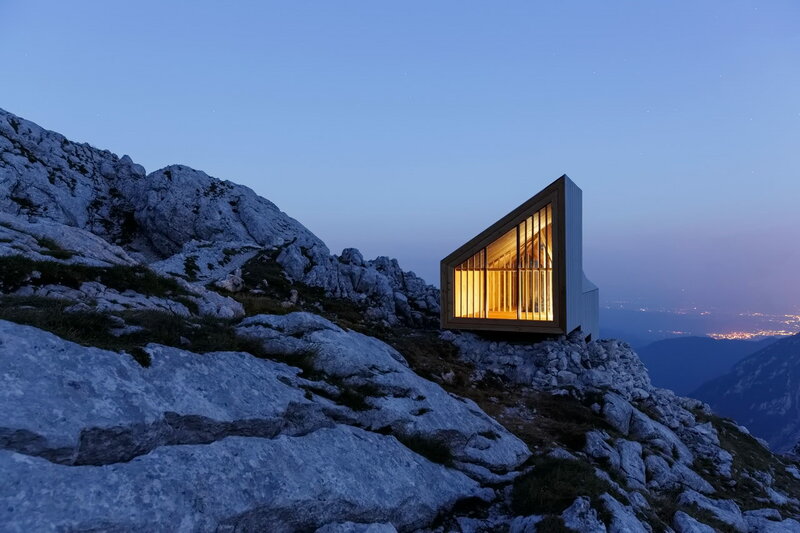 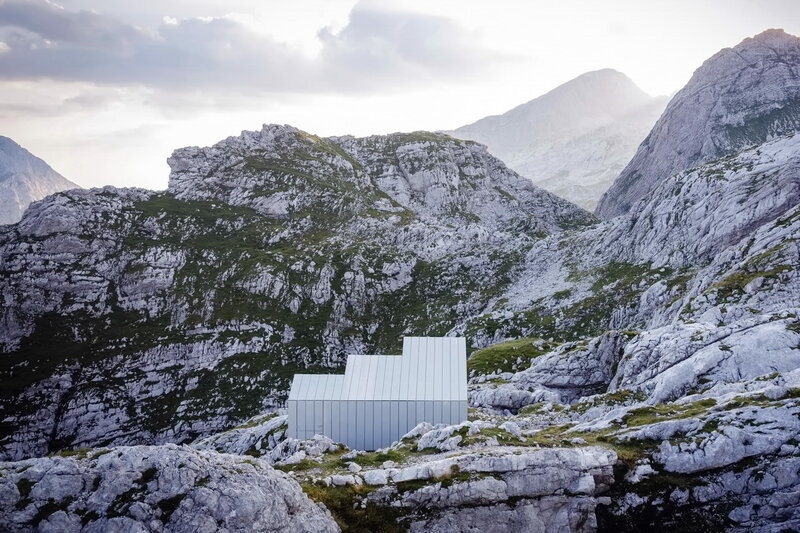 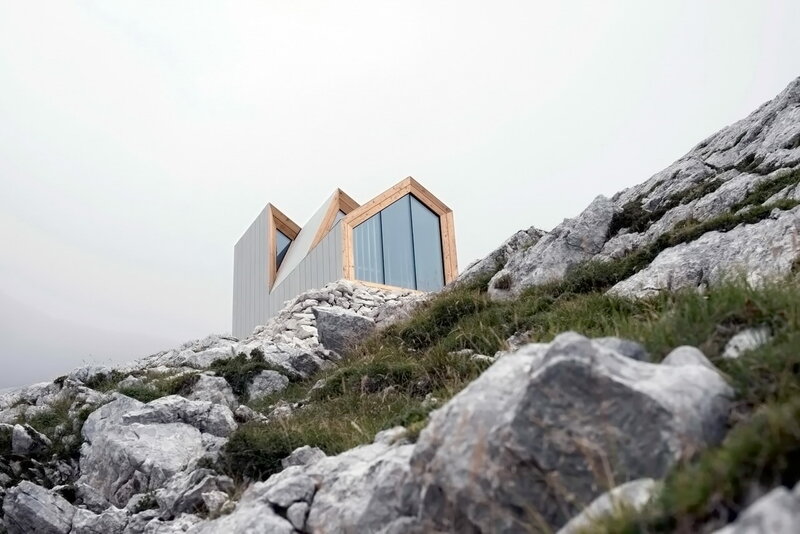 Due to the nature of the installation process, the shelter was designed as a series of modules so that it could be brought to the mountain in parts. 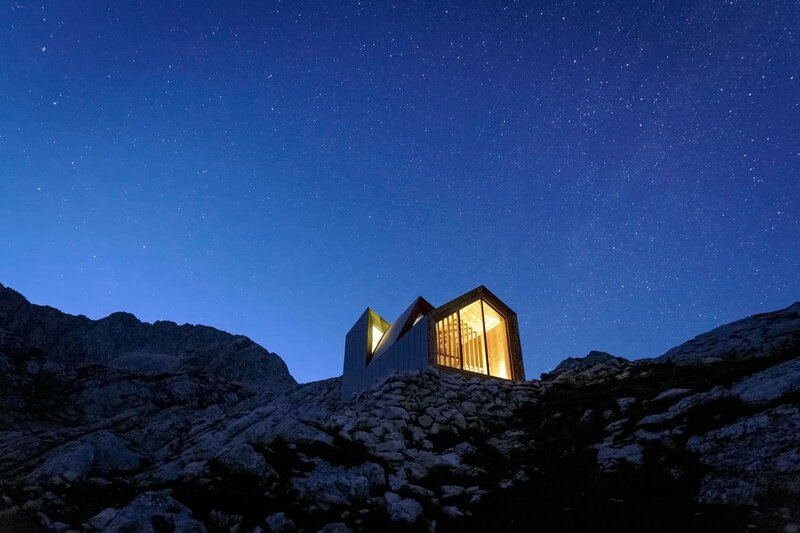 The entire prototype was constructed off-site in the workshop. 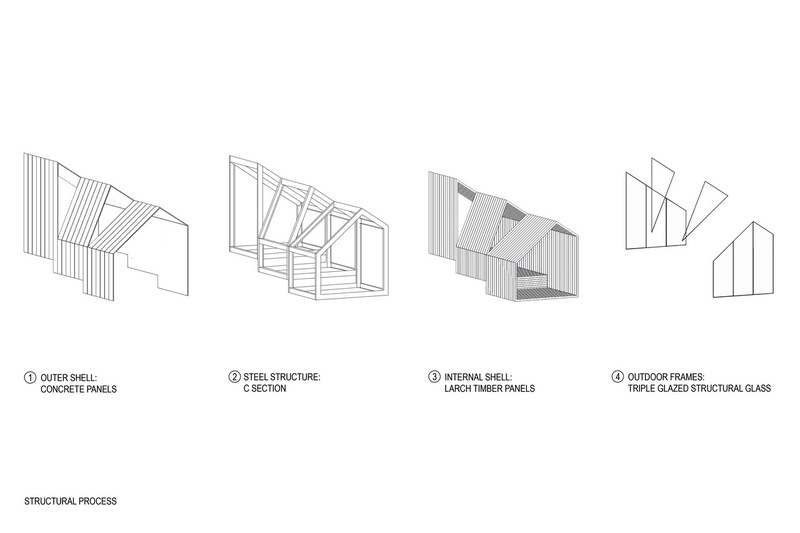 The modules were planned as a series of robust frames, which would then be braced together onsite providing a manageable installation and a less invasive foundation. 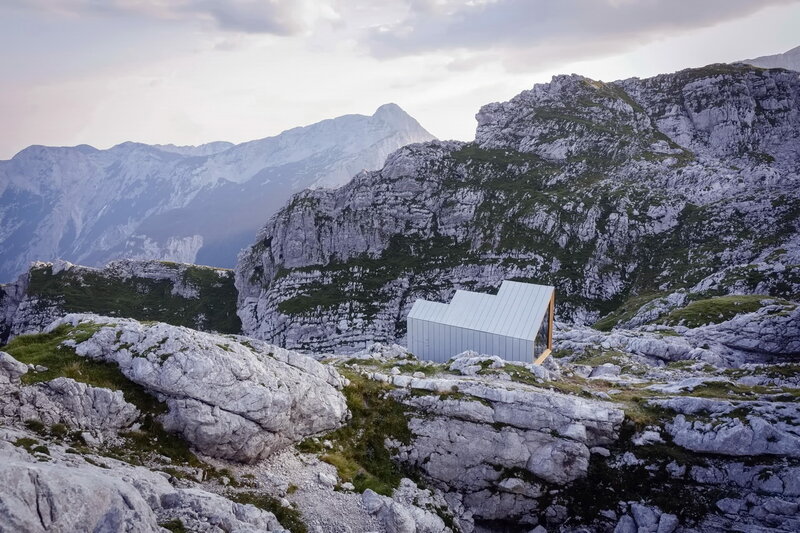 In order to keep the mountain site as undisturbed as possible, the modules are fastened onto strategically placed pin connections, which also act as the foundation on the site. 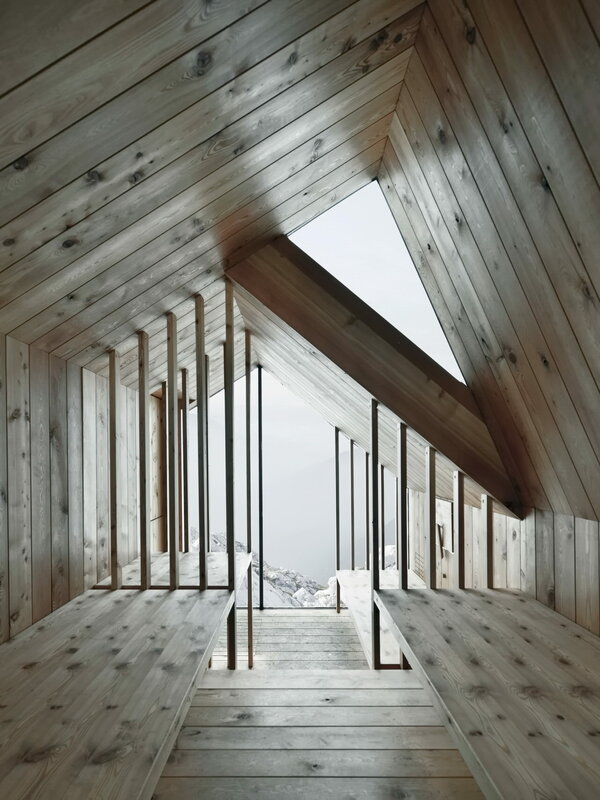 The glass is a triple pane system that has been calculated to withstand to the projected strong wind and snow loads. 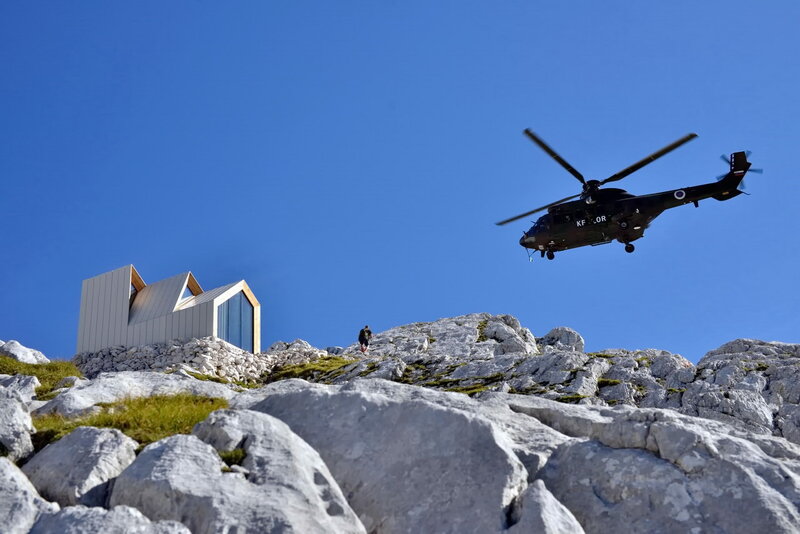 Installation of the bivouac was carried out by PD Ljubljana Matica under the direction of Matevz Jerman, helicopter transport while the Slovenian Armed Forces and a team of Mountain Rescue Service - station Ljubljana. 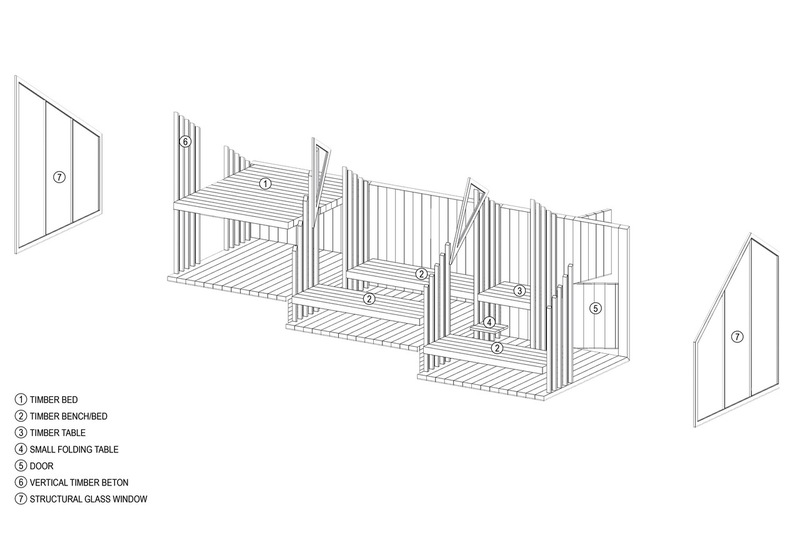 The whole transportation and installation process was carried out in one day. Although the scale of the bivouac is small, the project required a lot of effort and planning from over sixty participants who were mostly volunteers and sponsors. 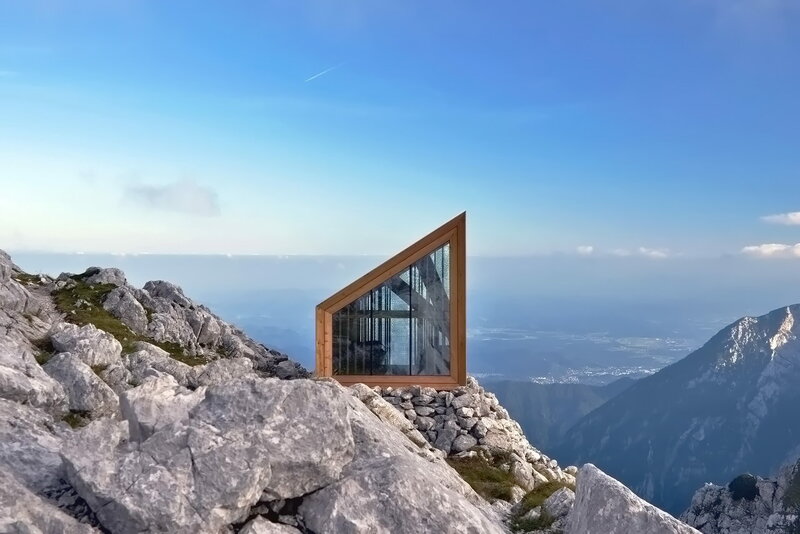 All would agree that, despite the small size, it was no less demanding than any large building project. 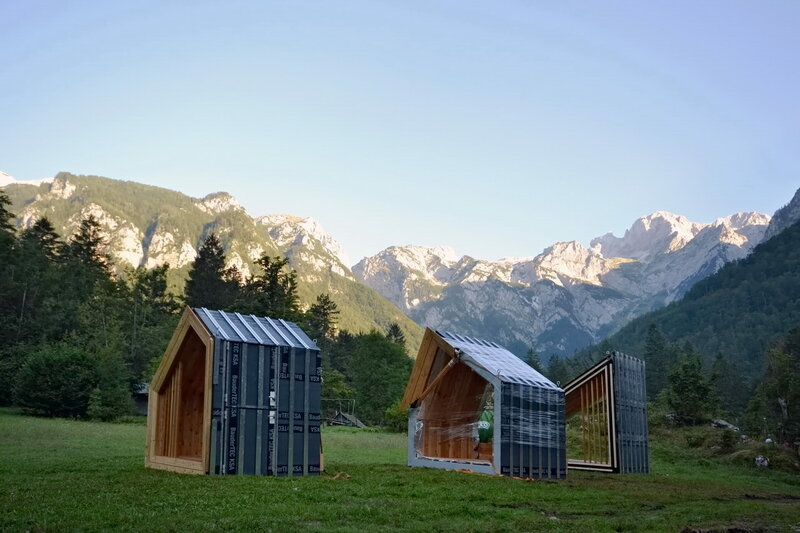 However, all of the effort and planning for this small scale project is meant to keep the memory, spirit and culture of the mountains as a special place for Slovenians. 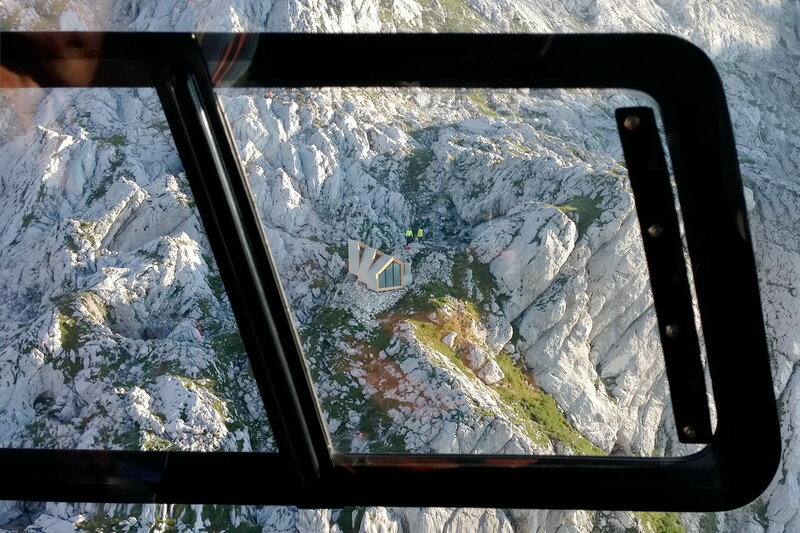 The hope is that the bivouac will serve as a shelter for all of the climbers who need it, and that through their care and attention the bivouac will continue to do so for many years. 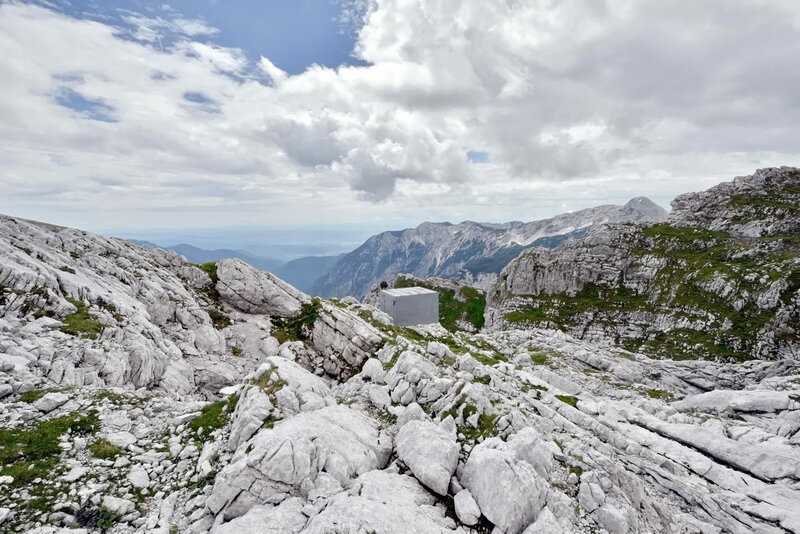 * The highest mountain in Slovenia and the highest peak of the Julian Alps. 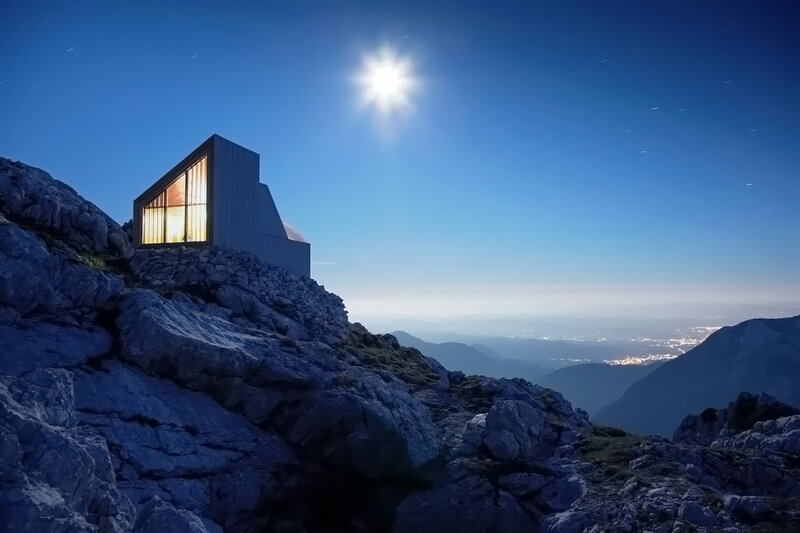 The mountain is the pre-eminent symbol of the Slovene Nation. 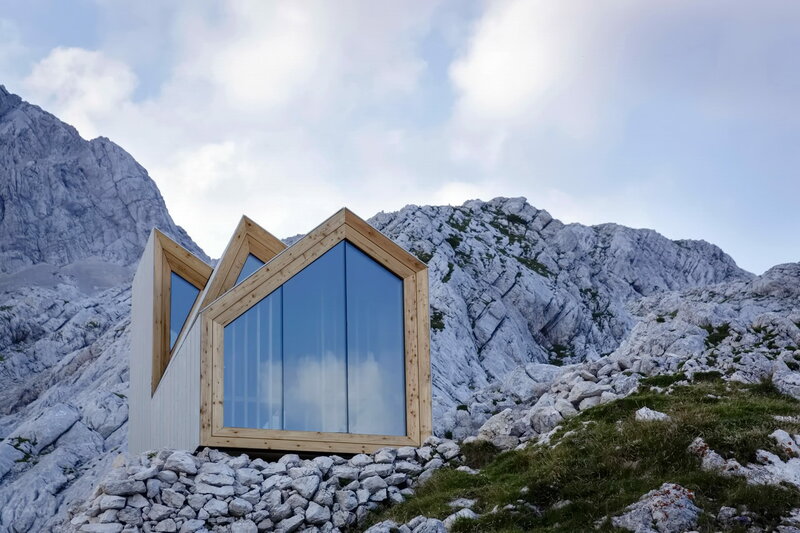 It is the centerpiece of the Triglav National Park, Slovenia's only national park.